Hey everyone, it’s Finance Fridays… I talked about Disneyland/California Adventure in my previous post. I am going to continue on with my Return from California post to talk about Shows and Dining. This is ridiculously expensive for what you get. I will be the first one to tell you that. And that would have been a mistake. World of Color was awesome, majestic even. My friends told me it was a great show, but I was surprised at how much I liked it. 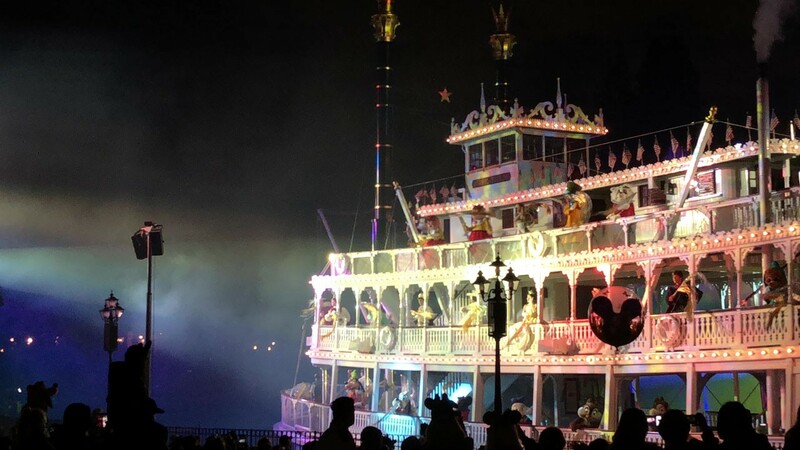 However, this is primarily a lights, color, and water show — which differs slightly from Fantasmic which has more fireworks and cast members, which I’ll discuss below. That said, the dessert itself was way to expensive for what you get. A small offering of cheese, small cakes, etc. with choice of drink is not enough to justify the price tag. I very much doubt we’re going to do this again. However, we probably won’t be going back for at least another 2-3 years when Lucas is older, and I wanted to make sure the family had a good experience at a show that I knew was good. For that reason, I still think it was worth it for me and my particular situation. That said, in general, I don’t think it’s worth it. Situation dependent. 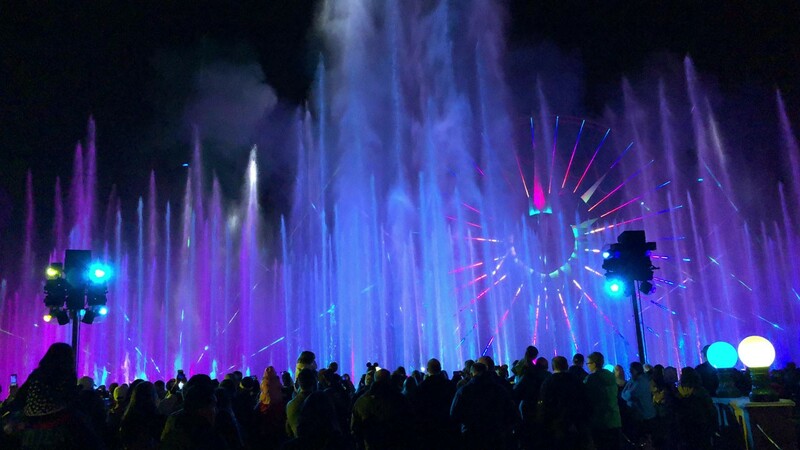 It probably is the best way to watch World of Color — but it’s very expensive. In general, I think the cost is too high for what you get. However, this depends on your situation as I’ve discussed above. This is also ridiculously expensive. This is for seating the at River Bell Terrace, so you eat on the Terrace, then watch the show from your seat. It’s important to note that this premium seating option does have heat lamps, which really helped on Wednesday. To be perfectly blunt, the food options are pretty mediocre. My father-in-law had the BBQ pork spare ribs, my mother-in-law had the braised short ribs, I had the Pulled Pork Sandwich. My mother-in-law liked the braised short ribs and my father-in-law liked his BBQ pork spare ribs. However, I didn’t think my Pulled Pork Sandwich was all that good. My wife had the Grilled Chicken Sandwich, which I ate half of it — and it was only ok. In my opinion, you’re really paying for the experience here, not the food. However, the seats themselves are pretty great. You are elevated slightly on the terrace above the people standing on the ground and have a great view of the Fantasmic show. While I thought World of Color was better, my wife and Kylie liked Fantasmic more. My boy, Lucas, was asleep for the whole show but he can watch it later since I got it on video. Both my mother-in-law and father-in-law enjoyed the show a lot. So, kind of more of the same. Wonderful experience, sub par food, ridiculously expensive. Overall, it’s probably the best way to watch Fantasmic, aside from the Blue Bayou Premium Dining Experience. Like World of Color Dessert Party, this is also situation dependent. This is probably one of the best, if not the best way to watch Fantasmic. If this is a show you’re excited about, it’s an option to consider. However, the food options isn’t that great and it’s very expensive. We have a ton of other pictures, but I liked this one the best. Goofy’s Kitchen is one of the “character breakfast” options available at Disneyland. It has Goofy guaranteed. Then there is a chance for Chip, Dale, and/or Pluto who walk around while you eat a buffet style breakfast. From what I understand, Minnie Mouse is sometimes there also. Luckily for us, Minnie was there they day we went. The kids got pictured with all 5 of them. There is also a separate section at the front to get a picture with Chef Goofy in his kitchen, which you can just add to your Photo Pass (you don’t have to buy the printed pictures). If you go to Goofy’s Kitchen before going into the park, you can’t buy the Maxpass/Photopass for that day yet. So what you do is take the picture, go into the park after breakfast, buy the Maxpass/Photopass, then to one of the Photopass places (Either in Disneyland along Main Street or California Adventure at Buena Vista Street). You then tell them when you took a picture with Goofy, they confirm your Maxpass/Photopass and then they add the pictures using your QR code. The food is standard breakfast buffet fare. Bacon, eggs, biscuits, sausages, and an omelet station. There is also some fruit and vegetarian options as well. Cereal is also available. The “Disney” stuff are the Mickey Mouse pancakes and Mickey Mouse waffles. There is also a little dessert station with a decent selection of little desserts. If you want a breakfast buffet, this isn’t a horrible option since you get to see characters too, However, just be aware of which characters are at which breakfast buffet. If getting a picture with a particular character is important to you, then this is definitely something to consider. Additionally, it’s worth noting that the characters wear different costumes at different places in the parks. For this reason, if you really want “Chef Goofy”, I think you can only find him at Goofy’s Kitchen. Planning out which characters you definitely want pictures with is probably a good idea. From my understanding, if you book a package (hotel + park) through Costco, you get a free character breakfest. So that’s something to consider — a colleague of mine will be doing this at the end of March. All of the above photos are from her professional “photo shoot”. 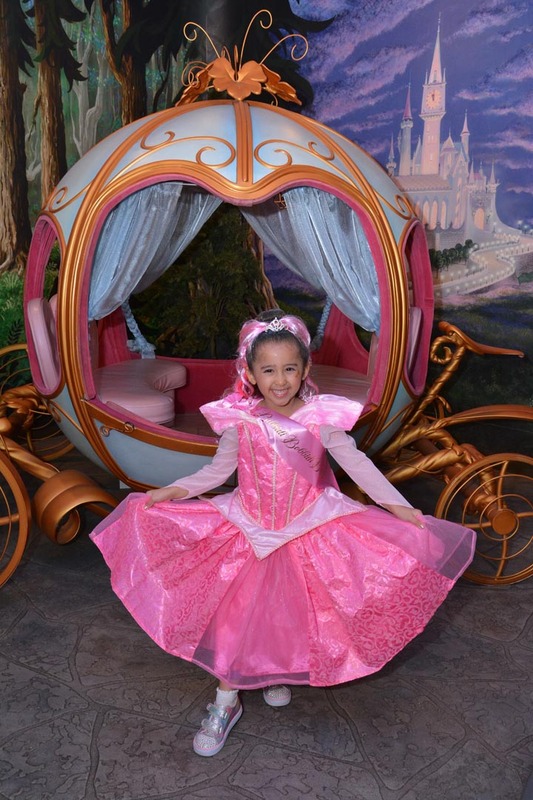 This is Disney’s “Princess for a Day” package. There are a few different packages, but we opted for the mid-tier package (the Castle Package) which is $199.95, and what I thought was the “best bang for your buck” experience. 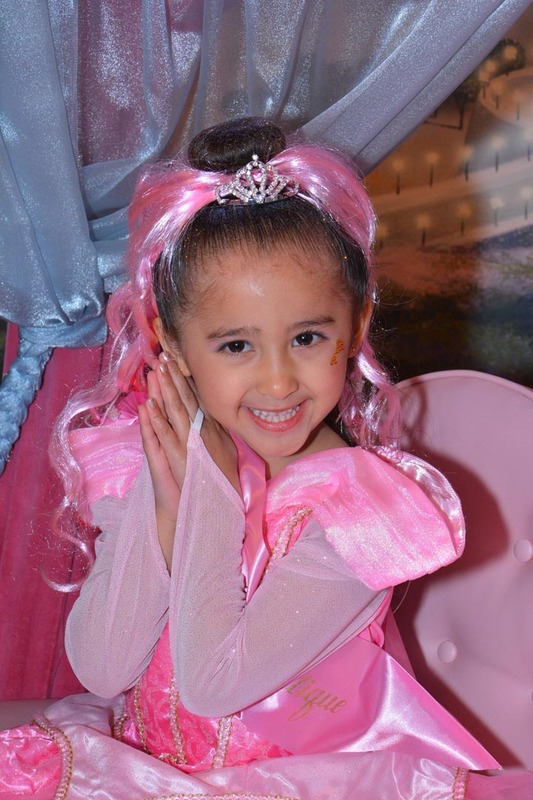 They let Kylie choose her princess, and she chose to be Aurora (Sleeping Beauty). 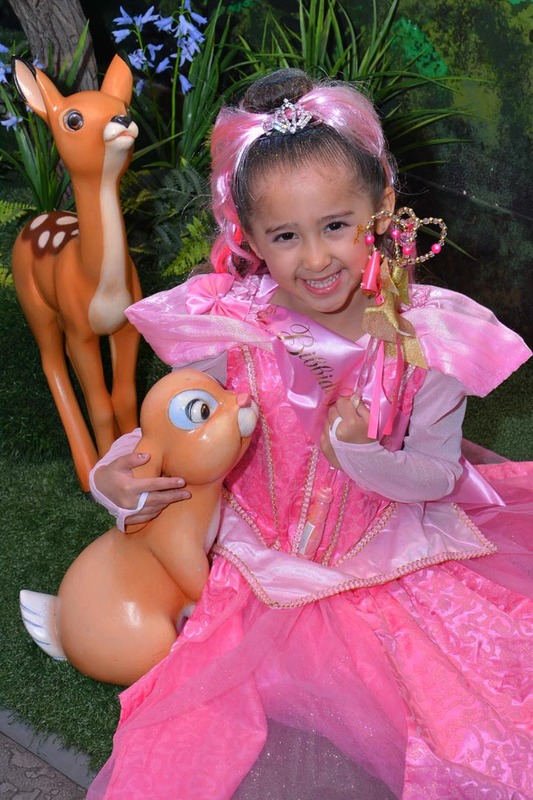 Then you choose a hair style, and she chose Dashing Diva (in pink). Then they took her back to get her nails and hair done. 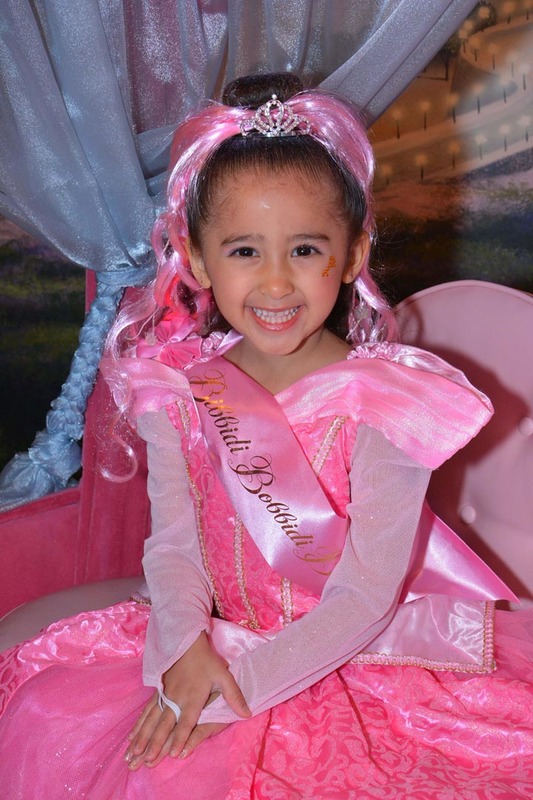 It’s a really fun experience for the little girls to be pampered like princesses. Then they go wait in a short line for their own “photo shoot” with backdrops of little cartoon forest animals and a princess carriage. After this is done, they are escorted to go “Meet the Princesses”. I think this varies depending on what time it is. Kylie (as Aurora), met and took pictures with Ariel, Cinderella, and Snow White. 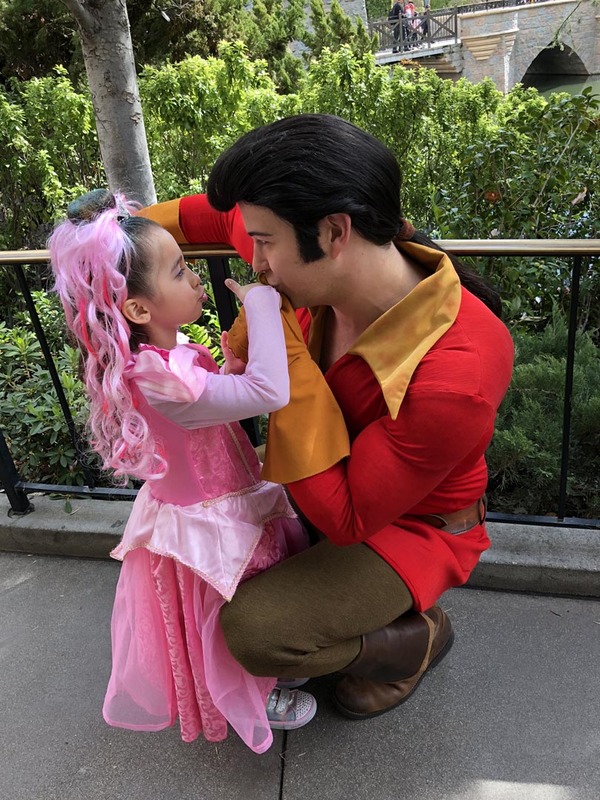 I don’t think you can have this “Disney Princess for a Day” kind of experience anywhere else in the world. Remember, I’m all about experiences. Whichever package you choose to do is up to you, but I think you’ll be happy with the experience overall. World of Color Dessert Party is very, very expensive — probably not worth it for people in general, except for those with certain circumstances. River Belle Terrace Premium Dining for Fantasmic is also very, very expensive, and also probably not worth it for people in general, except in certain circumstances. I’m all about experiences, but I am unlikely to do either of the above again. 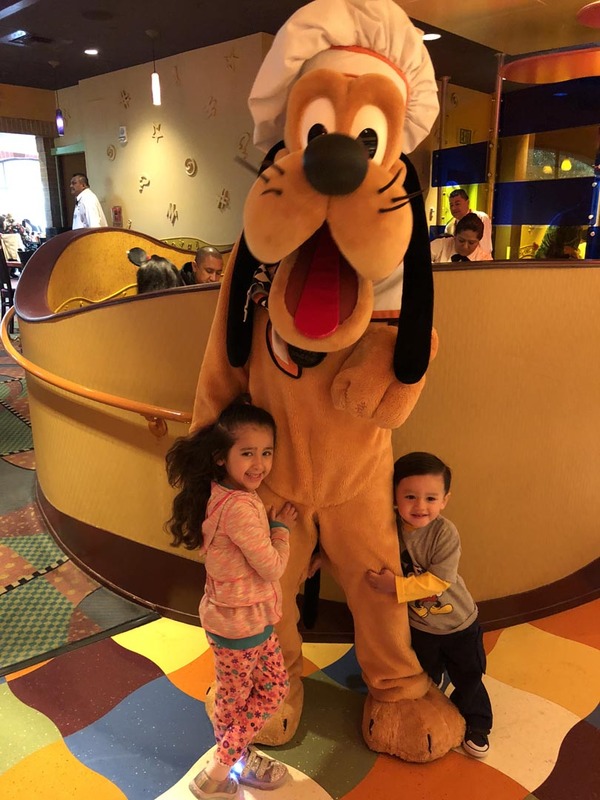 Goofy’s Kitchen isn’t a horrible option if you really want a good picture with Goofy, with a good chance to see Chip, Dale, and/or Pluto — and maybe even Minnie. From my understanding, if you book a package (hotel + park) through Costco, you get a free character breakfest, so that’s also something to consider. Bibbidi Bobbidi Boutique is a unique experience that I don’t think can be replicated. Choose the option you like and I think you’ll be happy.